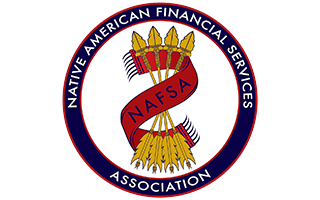 U.S. District Judge Robert J. Bryan has stayed a proposed class action lawsuit against tribal lender BlueChip Financial (BlueChip) until the Ninth Circuit Court of Appeals issues a final ruling on whether the company can compel arbitration. According to court documents, the dispute dates back to December 2015 when the plaintiff took out her first loan with BlueChip. The plaintiff ended up taking out three additional loans over the course of 2016 and 2017. Have any court solve Disputes. Be in a class action. The loan agreement even went as far as providing the plaintiff a “60-day window to opt out of arbitration by writing to BlueChip, and also allowed her to request a loan agreement without an arbitration clause.” The plaintiff ended up doing neither. BlueChip and its co-defendants immediately appealed the decision while asking the judge to stay all proceedings on the case until the Ninth Circuit Court of Appeals issued a final ruling. In deciding whether to pause the class action, Judge Bryan considered four questions. Where does the public interest lie? Judge Bryan reasoned that there is both a “strong public policy in favor of arbitration” and a strong policy “against usurious loans.” Thus, this factor does not weigh in favor for either party. In the end, Judge Bryan found that allowing a proposed class action against BlueChip and its co-defendants would cause irreparable harm against the companies, which would be “significantly unnecessary if their motion to compel arbitration is granted.” Because Judge Brian believes that BlueChip’s appeal has a “substantial case for relief on the merits,” the judge ruled to stay the class action until the Ninth Circuit Court of Appeals issues a final ruling.